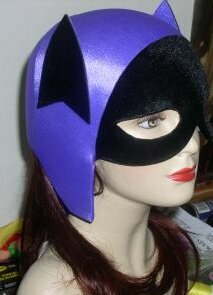 A custom made Batgirl costume based on the 1966 TV series starring Adam West. 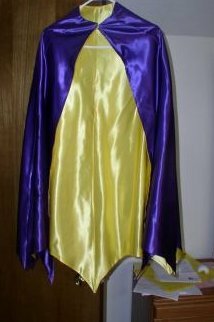 The costume consists of a purple and black cowl, purple stretch bodysuit, purple and yellow satin cape, exact replica belt with 4 pouches, purple gloves. Purple boots (not pictured). 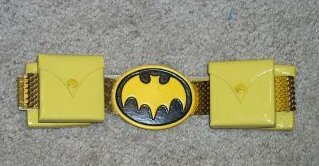 Chest decal (not pictured). This is one of the most accurate costumes made. Be the life of the party or guarantee a first place prize for best costume with one of these replica costumes.